is from Indianapolis, Indiana. He served in the Peace Corps in Panama as a Tourism and English Advising Volunteer. In Panama, he taught English to children and adults, and worked to strengthen local cooperatives. Chris received a Masters of Arts in TESOL at UMBC. As a Peaceworker Fellow, he served as the Commodore to College Coordinator at the Commodore John Rogers School in Baltimore City. is originally from Reading, Michigan. She graduated from Central Michigan University, and served as a Peace Corps Volunteer in Thailand. Her work there focused on teaching English classes to students and training local teachers on student-centered teaching practices. Adrianna received a Masters of Arts in TESOL. As a Peaceworker Fellow, she served as the English Language reading and writing tutor in the English Language Institute here at UMBC. is from Springfield, Ohio. She served as a Peace Corps Volunteer in Rwanda where she taught English and created systems to support Peace Corps Volunteers of Color. Ciara graduated from Howard University. 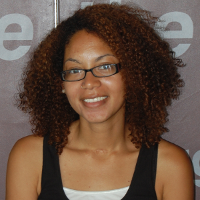 As a Peaceworker fellow, she received Masters of Arts in Applied Sociology at UMBC. She served on campus in 2 roles: leading the Grand Challenges Scholars program in the Engineering Department and conducting research on applied experiences in higher education and their effects on building affective skills for students. is recently back from her service as a Peace Corps Volunteer in Zambia where she worked on food security and agricultural projects. A native of Manchester, Maryland, Eleanor is a graduate of Catholic University. 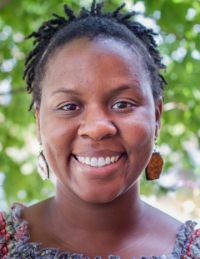 As a Peaceworker fellow, she received a Masters of Arts in Intercultural Communication at UMBC and served as the coordinator at the Walden Circle Community Center running after-school programming for kids. is a North Carolina native, and served as a Peace Corps Volunteer in Costa Ricaas a Youth Development Volunteer working on grassroots community organizing and developing a suite of life-skills trainings for youth. 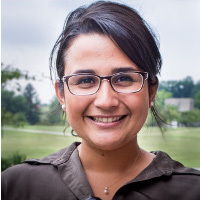 As Peaceworker Fellow, Ramona will received Masters of Social Work at the University of Maryland Baltimore, and served at Lakeland Elementary Middle School in the new STEAM Center. comes originally from Michigan and served in the Peace Corps as a Community Health Volunteer in Senegal. 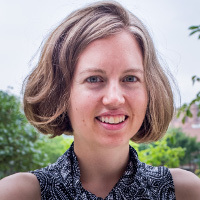 She received a Masters in Public Policy at UMBC and served with the Save the Children Action Network (SCAN) in their Washington, DC office, working on policy related to Early Childhood Education. is from Rocky River, OH. She served in Cameroon where she created a Income Generation and Social Enterprise program for a local non-profit, and facilitated trainings related to business and income generation. Bridget received a Masters of Public Policy from UMBC and served at the Baltimore City Mayor’s Office of Homeless Services. is from Fairfax, Virginia. 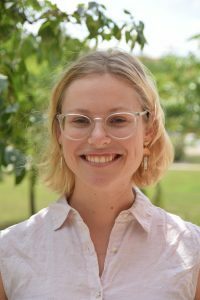 Katherine was a Peace Corps Volunteer in both Mali and Senegal where she created demonstration gardens, worked with with a local NGO to address water shortage, and partnered with government agencies to design an agroforestry program in the Fula language. She earned a Masters in Geography and Environmental Science at UMBC and served at the Audubon Center in Baltimore’s Patterson Park. joined us from Tirana, Albania where she was working as a Science teacher. After graduating from Guilford College, Michaela served as a Peace Corps volunteer in Indonesia. She received a Masters of Arts in STEM education, and served with the SUCCESS program here at UMBC, supporting young adults with intellectual disabilities. is a Washington D.C. native, and a graduate of Spellman College. She completed her Peace Corps service in Guinea. 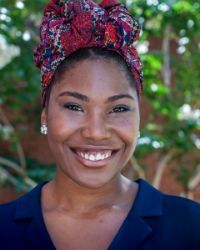 As a Peaceworker, she pursued Masters in Social Work with a focus on community organizing at the University of Maryland Baltimore. She served with In, For, Of (a nonprofit dedicated to thoughtful community organizing in the Reservoir Hill neighborhood of Baltimore). is a graduate of Wright State University and joined us from Springfield, Ohio. 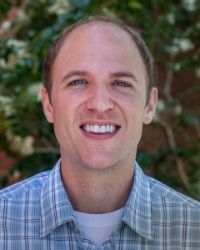 Ryan served as a Peace Corps Volunteer in Indonesia, and completed a Masters of Arts in Teaching ESOL at UMBC. Ryan’s service placement was coordinating a new partnership with the U.S. Peace Corps working on strategic diversity recruitment for the Peace Corps at UMBC and other regional institutions and assisting with our Peace Corps Prep program. joined us from New Castle, PA. He graduated from La Roche College with a dual degree in History and Political Science, and previously completed two terms with AmeriCorps working with inner-city youth in Pittsburgh. 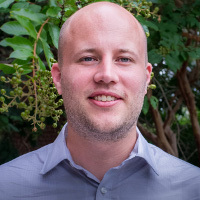 As a Peaceworker Fellow, he first coordinated the Commodore to College initiative at Commodore John Rogers School in Baltimore City, and then worked as a policy analyst for St. Vincent de Paul while completing a Masters of Public Policy at UMBC. is a New York native, and received a Bachelors of Arts in Psychology from Binghamton University. Lucy served as a Peace Corps Volunteer in Nicaragua working on Community Health Education. She completed a dual Masters Degree in Social Work and Public Health from the University of Maryland Baltimore. As a Peaceworker, she served at Lakeland Elementary Middle School working closely with Latino immigrant families. a Philly area native, joined us from Peace Corps Headquarters, where she most recently worked as a Placement and Assessment Specialist. 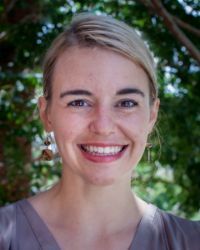 She served as a volunteer in China from 2009-2011 after graduating from Notre Dame de Namur University, and pursued a Masters in Applied Sociology at UMBC. 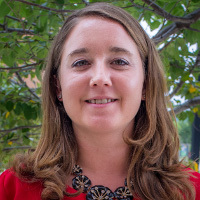 Becky worked with the Office of Student Life coordinating service and volunteerism programming on campus. is from Portland, Oregon and graduated from Arizona State University with a B.S. in Economics. She recently returned as a Peace Corps Volunteer in Cameroon where she served in the Community Economic Development sector working on a clean water project and grants management. As a Peaceworker Mollie will pursue a Masters in Public Policy at UMBC and will serve with the Annie E. Casey foundation in Baltimore. is originally from Blandon, Pennsylvania and graduated from Messiah College with a B.S. in Elementary Education with a concentration in Special Education. As a Peace Corps Volunteer she served in Guyana in the Education sector designing literacy trainings and developing library and computer resources in primary schools. As a Peaceworker Katie will study Geography and Environmental Systems and will serve in Baltimore City Councilman Jim Kraft’s Office. is originally from Savannah, Georgia, and is joining us from his Peace Corps Response post in Guyana. Pierce graduated from the Georgia Institute of Technology with a B.S. in International Affairs and German. 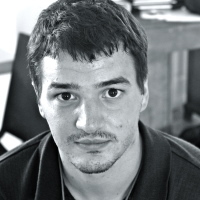 As a Peace Corps Volunteer he served in Vanuatu as an Information Technology Educator. As a Peaceworker Pierce will study Information Systems Management at UMBC and serve here at the Shriver Center. He really likes cats and helped make this website. is originally from right here in Baltimore! Shannon graduated from Towson University with a Bachelors of Arts in Spanish. As a Peace Corps Volunteer she served in Macedonia as a Primary English Resource Teacher. 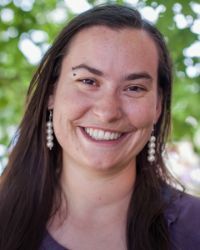 As a Peaceworker Shannon will study Intercultural Communications at UMBC and serve as the graduate reading and writing tutor with the English Language Institute at UMBC. is originally from Georgetown, Delaware and graduated from Eastern University with a degree in Communications. He served as a Peace Corps and Peace Corps Response Volunteer in Guinea working on agroforestry extension. As a Peaceworker Joel will study Geography and Environmental Systems and will serve with the Walden Circle community center. is originally from Chicago, Illinois and received B.S. degrees in Environmental Engineering and Chemical Engineering from the Illinois Institute of Technology. Mark served as a Peace Corps Volunteer in Ghana teaching junior high school students math and science. As a Peaceworker Mark will study for a Masters in the Art of Teaching and serve with the UMBC Office of Student Life. is from Blacksburg, VA and has gathered a variety of degrees during her academic career, including a B.A. and M.A. in English and a J.D. in Law from the University of Kentucky. She served as a Peace Corps Volunteer in Mongolia as a TEFL teacher at a university. As a Peaceworker Merrie will study Instructional Systems Design, and will serve with Save the Children’s US Office in Washington D.C. on their new Be the Voice initiative. is originally from Columbus, Ohio and graduated from Ohio State University with a B.A. in International Studies. As a Peace Corps Volunteer she served in Honduras as a Small Business Development Volunteer. As a Peaceworker Jennifer will study Geography and Environmental Systems at UMBC and serve with the Mayor’s Office of Homeless Services in Baltimore City. is originally from Chatham, New York and graduated from Syracuse University with a B.A. in Political Science. 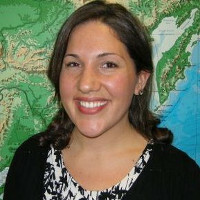 As a Peace Corps Volunteer she served in the Republics of Guinea and Mali as a TEFL volunteer. As a Peaceworker she will study Intercultural Communications and work with the MOSAIC Center on campus coordinating cultural diversity programming. is originally from Lititz, Pennsylvania and graduated from Lebanon Valley College with a degree in English and American Studies. As a Peace Corps Volunteer he served in Peru as a Water and Sanitation Volunteer. As a Peaceworker Greg will study for an M.S.W. at the School of Social Work and serve with Lakeland Elementary-Middle School. is originally from Baltimore, Maryland. She graduated from Elon University with a B.A. in Communications and Spanish. As a Peace Corps Volunteer she served in Nicaragua as a TEFL volunteer. 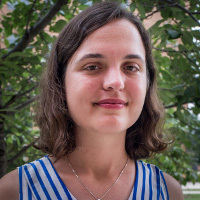 As a Peaceworker Kellie will study Intercultural Communications at UMBC and serve with the Friends of Patterson Park in Baltimore City, working on member outreach. is originally from Hagerstown, Maryland and graduated from Ithaca College with a degree in Television-Radio. He served as a Peace Corps Volunteer in Zambia working on farming and environmental planning projects. As a Peaceworker Brooks will study Geography and Environmental Systems and will serve with Lakeland Elementary-Middle School working to strengthen the community’s neighborhood association.